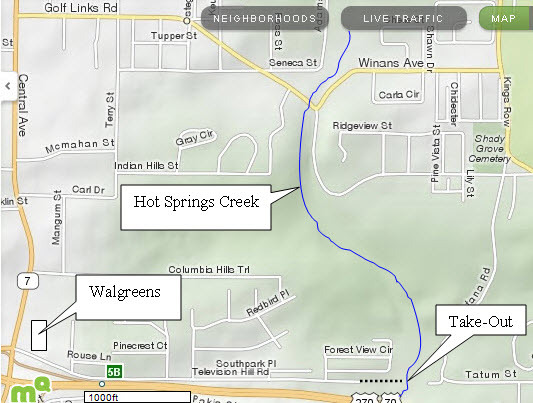 A marvelous Class 2+ creek runs through the city of Hot Springs, none other than Hot Springs Creek. 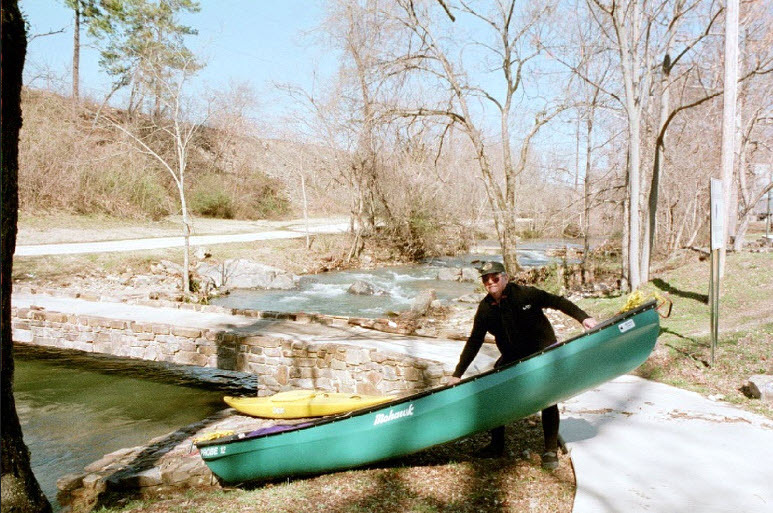 The two mile section frequently paddled starts in Greenway Park at the pedestrian bridge near the intersection of Scott Street and Shady Grove Road. There is even a parking lot at the put-in. 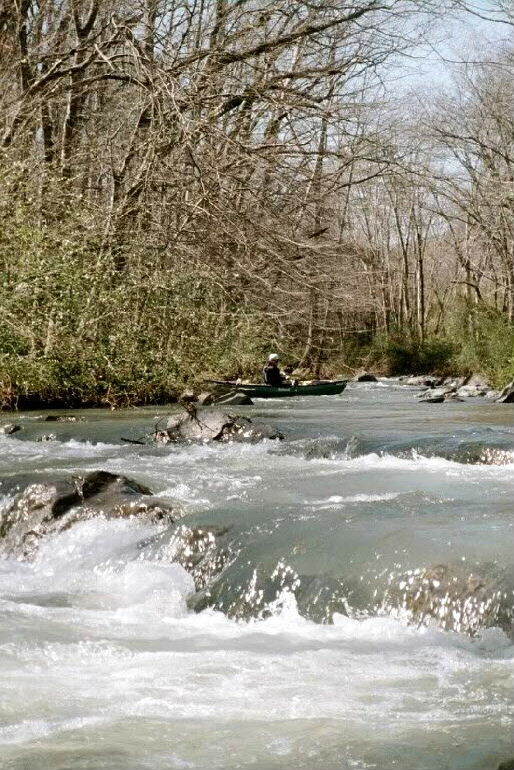 The bottom of the creek is nearly all solid rock, so brush growing in the creek is not a problem. 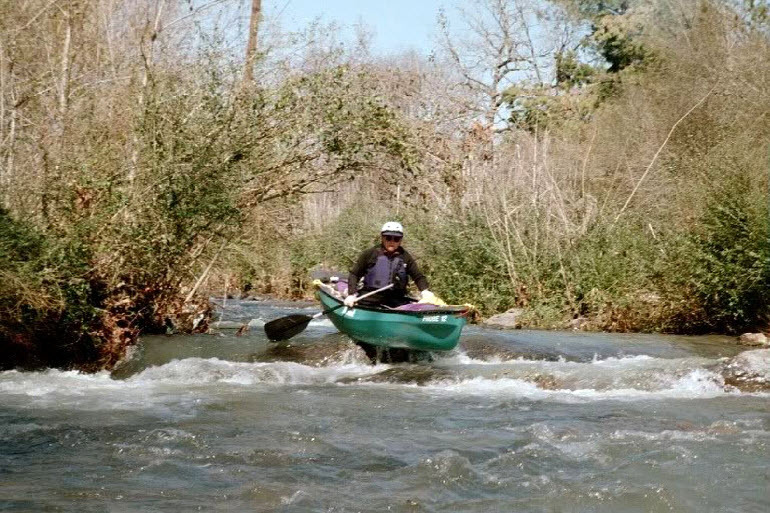 Most of the rapids are small steps in the rock that are fairly straight shots. 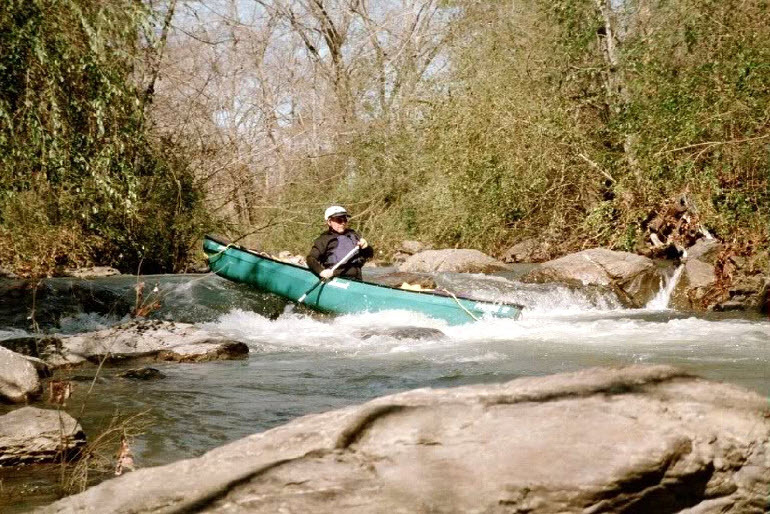 A few spots require brisk maneuvering and excellent boat control. There are too many small surfing spots to count along the two miles down to the take-out at Television Hill Road. Television Hill Road runs parallel to the 270 Bypass; there is a Walgreens Drug store at the corner of Central Ave. and TV Hill Rd. The last 100 yards of the road are not paved and have become quite rutted, probably requiring 4WD to negotiate. There is ample parking beside the creek. There is a USGS gage on the creek at Grand Avenue that has not been in place long enough to get a good correlation to a visual inspection of the creek level at the pedestrian bridge at the put-in. When the water level is about flush with edge of the stone masonry apron on the downstream river right side of the bridge, there’s enough water to make it down the creek. That edge is the top edge of the layer of stone that makes the apron, at the bottom of the sloped apron. The corresponding gage reading may be between 2.o and 2.5 feet, but this needs further verification. The gage website is http://waterdata.usgs.gov/ar/nwis/uv/?site_no=07358284&PARAmeter_cd=00065,00060 . The photo above shows a pipe that is just below the water surface. 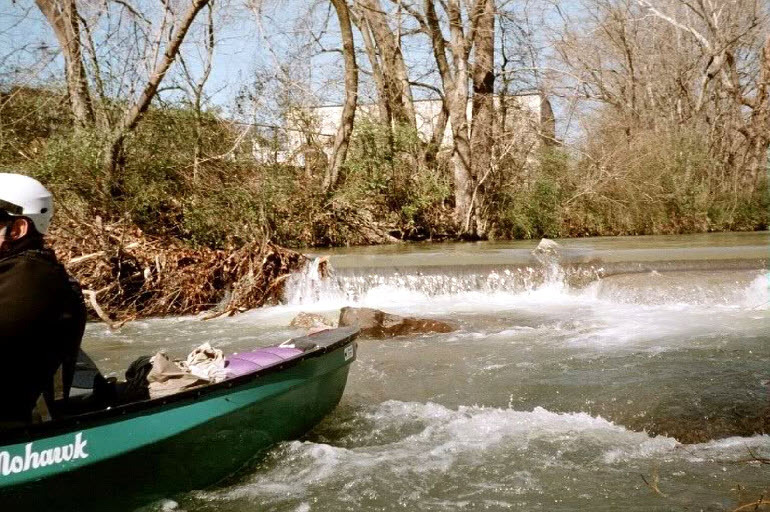 It is an extreme hazard because near the right bank (where all the brush is in the photo; the brush is no longer there) the pipe is about two feet above the bottom of the creek. 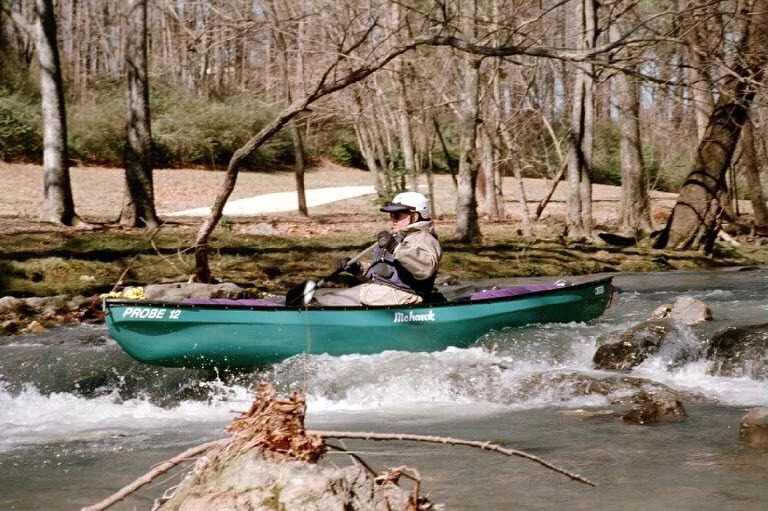 A boat or a person can be sucked under the pipe if an attempt is made to paddle over the pipe – even if the boat remains upright! Portage this pipe along the left bank! It is easy to recognize by the pool that forms above the pipe and horizon line that forms at the pipe itself. The location is about half way through the trip, with a mini-storage complex visible on the left bank and buildings on the right bank also. The second pipe is about a half mile past the one discussed above. It may no longer be a hazard since it was replaced with a new pipe a couple of years ago. Just pay attention to any horizon lines you may encounter and be very careful around any that appear to extend from bank to bank and are that are very uniform. There will be lots of partial, irregular horizon lines formed by rock ledges which, of course, do not have water passing under them. 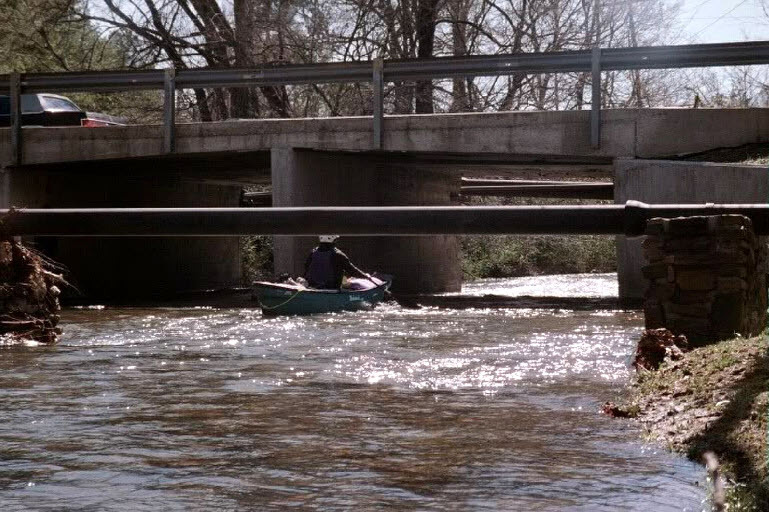 Speaking of pipes, you will have to paddle under an elevated pipe located just upstream of the Hollywood Ave. bridge; just duck if necessary. If the water level is much higher than the minimum, check the clearance at this pipe before beginning. 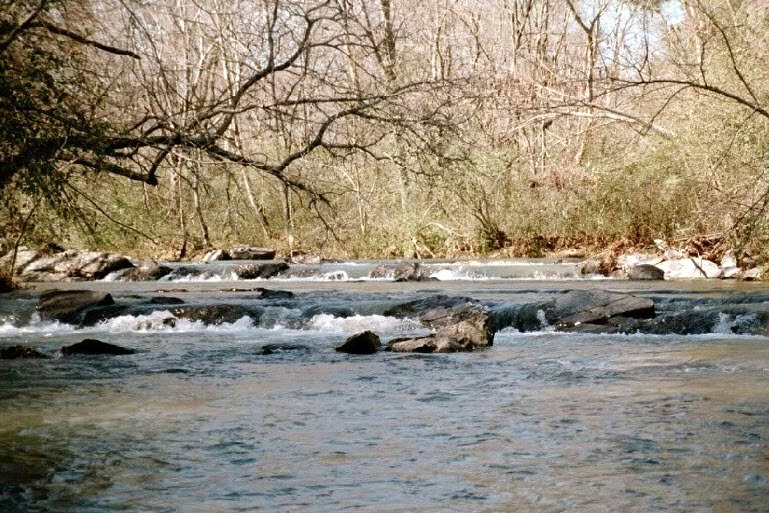 Hot Springs has plans to extend the walking trail that runs along the right bank of the creek. 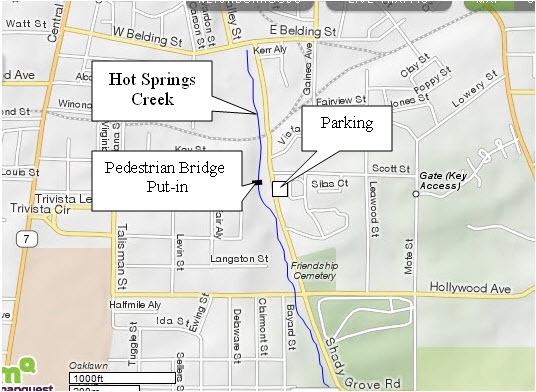 The plans include constructing more bridges across the creek at heights that are unknown at the present time, so be aware of possible new pedestrian bridge hazards. This trip really looks fun. I spend quite a bit of time in the area in the summertime and look forward to doing it!